Four University of New Hampshire students are among the 800 undergraduates nationwide who have received the prestigious Benjamin A. Gilman International Scholarship, which supports global internships or study abroad. Gilman scholars receive up to $5,000 to be applied toward their study abroad or internship program costs. The Gilman Scholarship program is sponsored by the U.S. Department of State’s Bureau of Educational and Cultural Affairs. It is designed to give students a better understanding of other cultures, countries, languages and economies and become better prepared to assume leadership roles within government and the private sector. Zachary Dumont, Shannon McGrath, Hannah Medovnikov and Brittany Taylor received a total of $18,500 toward spring semester study abroad. Zachary Dumont '17, a political science major from Manchester, New Hampshire, will participate in the UNH-managed program at Chengdu University in China. Dumont wants to develop his Mandarin Chinese language skills and study the nation’s culture and literature in preparation for a career in East Asian relations and policy. 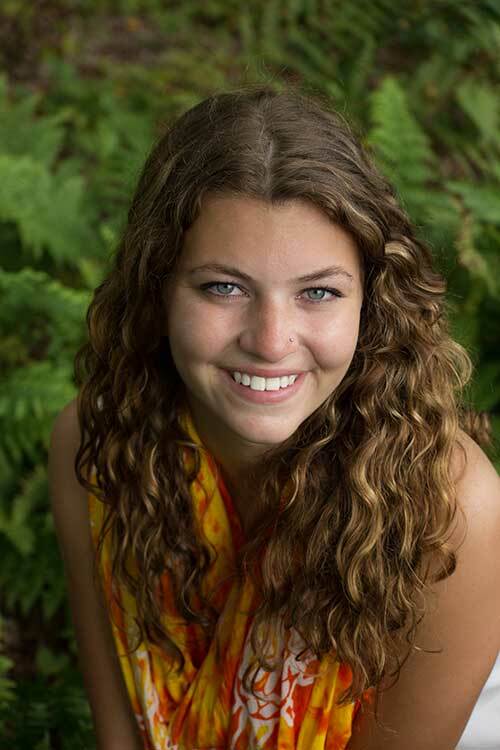 Shannon McGrath '18, will study in Legon, Ghana. 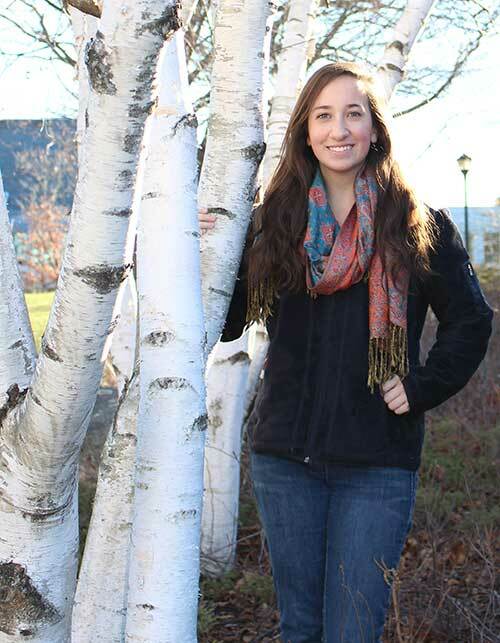 McGrath is an occupational therapy major from Lyman, New Hampshire, who is pursuing a double minor in outdoor education and race and ethnic studies. Through the UNH-managed Ghana program, McGrath will explore African theories of identity and governance at the University of Ghana. Hannah Medovnikov '17, will study in Dakar, Senegal. 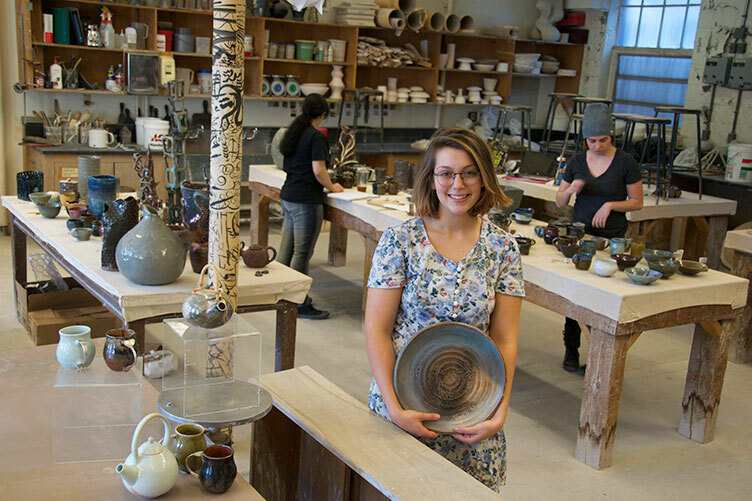 Medovnikov is a studio art major and ceramics artist from Bethany, Connecticut. Through the program Senegal: National Identity and the Arts, she will study ceramics within different artistic traditions and explore how Senagalese art and urban identity has been influenced by colonialism and slavery. Brittany Taylor '17, a wildlife and conservation biology major, will study in Rhotia, Tanzania, through the School for Field Studies’ Center for Wildlife Management Studies. The Lakeville, Massachusetts, native will complete fieldwork in the Tarangire-Manyara ecosystem and participate in a directed research project. She is planning a career in conservation biology and environmental policy. A fifth student, Debora Magalhaes '17, was selected as an alternate, meaning she will receive a Gilman scholarship should another recipient decline. Magalhaes will study abroad in Barcelona, Spain, during the spring semester. The UNH Office of National Fellowships provides information, counsel and editorial support to highly motivated students applying for national and international fellowships and scholarships like this one. For more information about the Benjamin A. Gilman International Scholarship, or for application support, contact Jeanne Sokolowski at Jeanne.sokolowski@unh.edu or 603-862-0733. Students receiving a federal Pell Grant from two- and four-year institutions who will be studying abroad or participating in a career-oriented international internship for academic credit are eligible to apply.